MERCED, Calif. (KFSN) -- The Merced Police Department said a man who broke into a home in Merced was shot and killed by the homeowner. 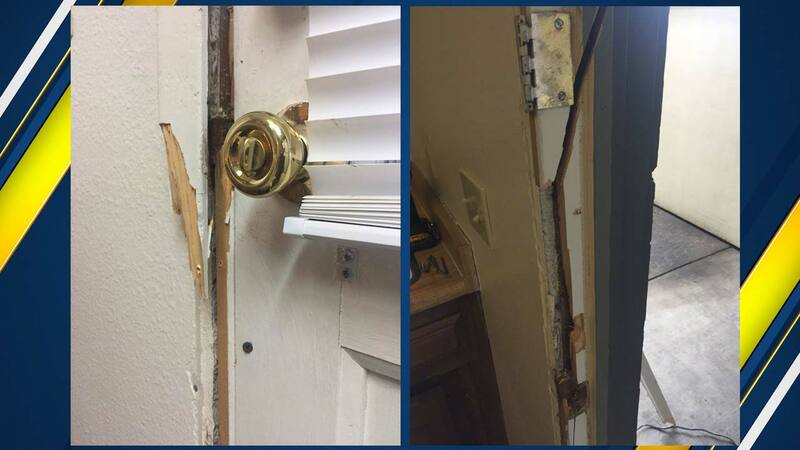 On Wednesday police said they received a call from a man saying someone kicked down his door while he was home. The resident said he armed himself with a shotgun and when the suspect continued to move towards the homeowner, he shot at him. Police said the suspect was pronounced dead at the scene. The homeowner was not injured during the break-in. Authorities have only identified the suspect as a man in his 30's pending notification to the next of kin. The homeowner is cooperating with investigators and told police he did not know the suspect. Authorities are still trying to determine a motive for the break-in. Merced Police are asking anyone with any information regarding this incident to contact Detective Chris Russell at (209)385-4707, or the Merced Police Department Tipster Line at (209) 385-7826. The public can also send information via anonymous text messages to police department by dialing "TIP411" (847411) and including the word "Comvip" as the "keyword" in the text message.